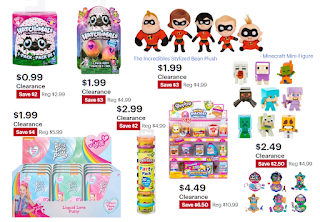 Small Toys Clearance Sale + Free Pickup at Best Buy or Free Shipping With $35 Order: Hatchimals - CollEGGtible Season 4 1 Pack 99 Cents, 2 Pack $1.99, 10 Piece Hasbro Play-Doh Party Pack $2.99, 16 Piece Shopkins Season 10 Shopper Pack $4.49, Hot Wheels Track Builder Hammer Drop Challenge $6.49,Happy Helpers Singing Minnie Mouse $8.49. Lots of great Easter Basket stuffers!! CLICK HERE to see all available.